Hondo (Dharma Hall) of Amidaji. You can see me in the right corner of the photo. "Zenshū said, 'When I make offerings to the Shōnin, I do this as if they were my own. How shameful!' When asked why, he said, 'They are the things given by the Buddha, but I offer them to the Shōnin as if they were my own gift. My role is only to pass the Buddha's gift over to the Shōnin. How shameful I am to make these offerings as if they were my own.'" Do you ever feel like anything is "missing" for you without regular meditation? I really do not feel something is missing. For an ordinary person meditation is useless anyway because no one can attain Enlightenment through it in this last Dharma age. More than this, meditation can even be a distraction from the Primal Vow. 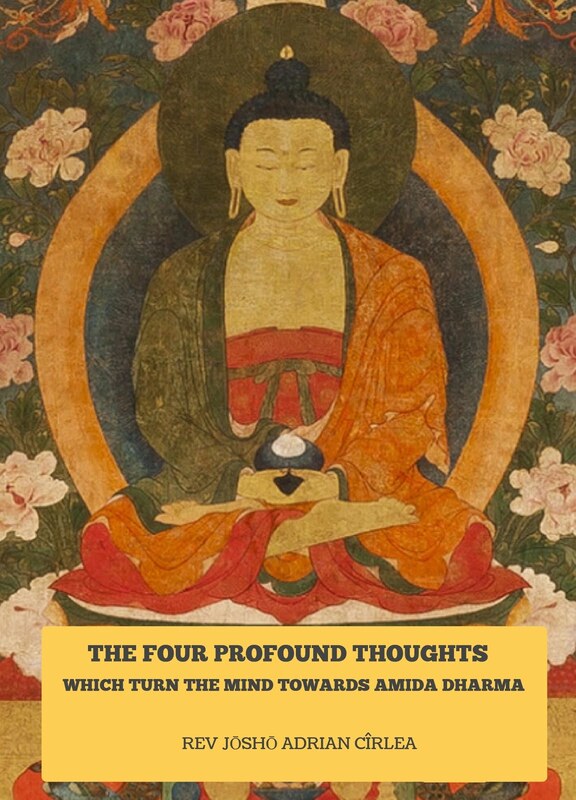 If Amida wanted us to practice meditation and considered meditation to be helpful to us, then He would have included it in His Primal Vow, which He didn't. As Honen said, Amida chose only His Name from the myriad practices. Why? Because this Name is supreme and all-powerful, and will take us quickly to freedom from birth and death. 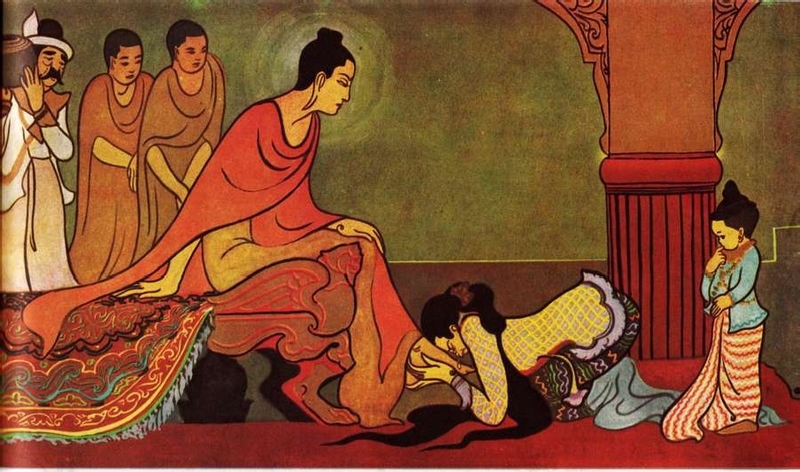 Yasodhara venerating the Buddha by placing her head upon His feet. I myself like to place my head on the feet of Amida images/statues and kiss them. "Some say that a Jodo Shinshu follower must have a home altar (butsudan), while others say this is not important. What do you think?" I think it depends on each person. Let me give you an example from daily life. This is somewhat similar with having an altar dedicated to Amida Buddha and an image with Him in your own room. You are never far from Amida, and you know He is always with you, but because your unenlightened eyes of flesh cannot see Him, you may wish to have a painted image with Him and His Name in Chinese or English characters. There is nothing wrong with this, but on the contrary, it may prove helpful. Also, have you ever kissed a photo of your dear ones, when you thought to them or missed them, or simply out of love for them? In the same way, you can have an image of Amida Buddha to whom you can offer flowers or bow to it, or touch your forehead with it, or even kiss it with devotion. I myself like to do all these things with images of Amida Buddha. It is the way this ignorant and devotional peasant likes to express his faith in his Savior. But of course, you may be different and you might not feel the need to have sacred images at home. Both choices are ok, as long as you have faith (shinjin), because faith is all that matters. 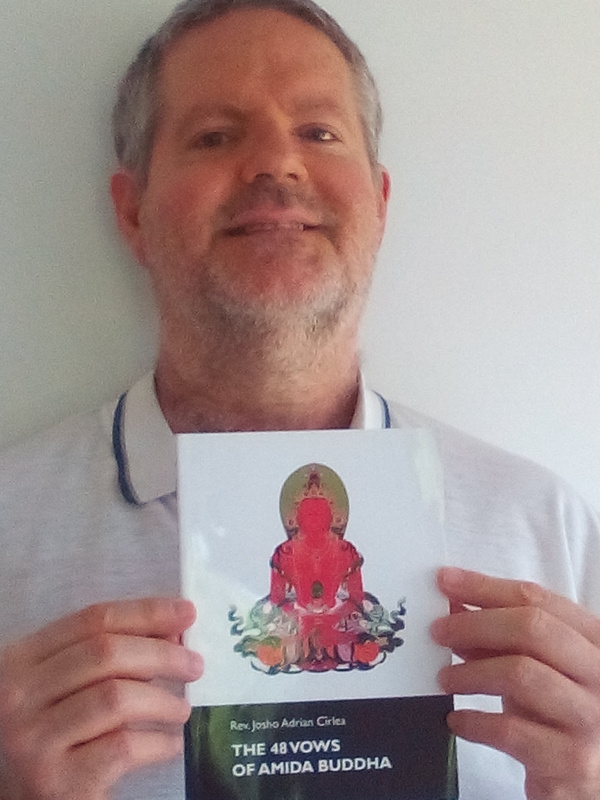 And if you are not yet established in faith, sacred images may help in creating connection with Amida Buddha, along with listening to the true teaching about Him. I myself cannot find any satisfaction with Buddhist teachings and practices that doesn’t promise me a quick escape from birth and death. This is why I entrust myself to Amida Buddha, because I am in a hurry to become a Buddha. I know that some virtuous practicers might interpret my hurry as laziness in spiritual matters or as lack of patience. I don’t deny anything, but when I deeply contemplate the rare chance of being born a human and how easy it is to fall again in the lower realms or when I see that even in this life, thoughts resembling those of animals, hungry spirits or hell dwellers often appear in my mind and in the mind of others, I feel that I do not want to assume any risk of failing to quickly become a Buddha once and for all. In times of great deppresion I cannot read a single Dharma sentence, nor am I capable to make my daily devotions properly. To think, to contemplate something, to write, translate or teach becomes a great burden. Everything stops and I cannot do anything. In those moments, when I am incapable of any religious activities, I often become deeply aware of the friendship and care of Amida Buddha. My innability of doing anything, even to read or recite a single line is entirely accepted and I feel nothing like a reprimand on His part. I sometimes blame myself for my inaction and my incapacities, but still the feeling of being accepted as I am never dissapears from my heart and mind. So, even if I say the Name often or seldom, I know that my assurance of birth in the Pure Land is the same and the Buddha is here as always, walking with me, seeing me, protecting me. Indeed, I realize that Jodo Shinshu is for me, Josho, a person incapable of any sustained practice, who often falls and wanders here and there driven by various atachmenets. 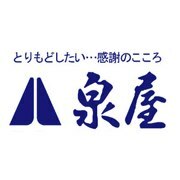 It is this feeling of being accepted no matter what, that makes me a Jodo Shinshu follwer. Without Jodo Shinshu I could not be a Buddhist and the gates of Freedom would be forever closed for me. This is not a metaphor, nor a sign of humblesness, but the simple truth. There is no hidden quality in myself, no special capacity that can be of any help in the matter of birth and death. 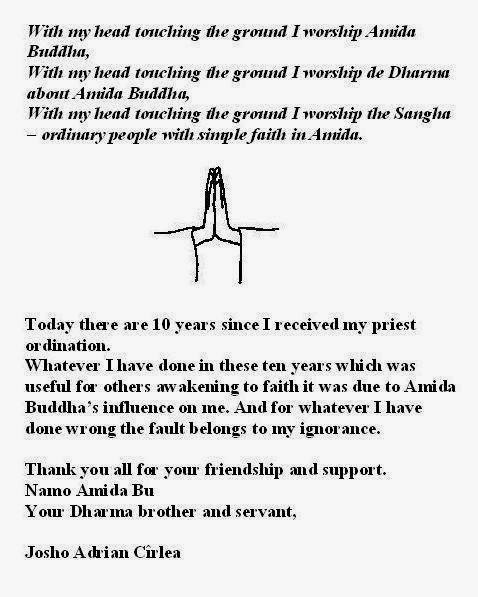 Still, such a person is saved and assured of Buddhahood due to Amida. Solve the matter of death and after death NOW! To be or not to be a religious person lies in how much attention one gives to his own death and after life. And there is something more: in how hurried he or she is to solve this matter of death and after death. This I think should be a great urge for a Buddhist practitioner – to solve the matter of death NOW, as soon as possible, to be hurried to solve it and to not postpone it for another day or year. As an ordinary person that I am, gratitude does not often arises in my mind, but when it does I feel happy not only for Amida’s salvation but for every little thing that brings me satisfaction. Those who always had what they wanted might not easy feel happiness when for example, they eat a good meal, but for me, this might bring me great happiness. 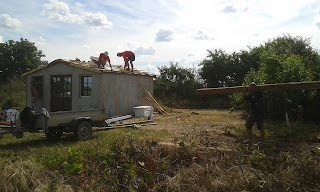 Also to have enough clothes to cover my body, to have the rent paid so I am sure that I do not become homeless, to be able to pay electricity or water, etc, are sources of great satisfaction and relief. This is because every day I struggle with these matters and worry how I will be able to cope with them. Thus my mind is very much attached to such things. To concentrate on the Dharma is never easy in the everyday life of an ordinary person who has a minimum income which is hardly enough to cover his needs. To be a full time practitioner or full time priest is completely impossible. More than this, to have a job that does not contradict Buddhist precepts is also in many cases impossible. One thing that I especially like in Jodo Shinshu is the feeling of Buddhas being close to me, walking with me, seeing me in my daily life, watching over me. Buddhas are not just teachers. If you think of the Buddhas only in this way, then the Buddhas will seem very far from you, somehow secluded in their Enlightenment, while you are here to struggle alone following their example. But this is not the single side of the coin. 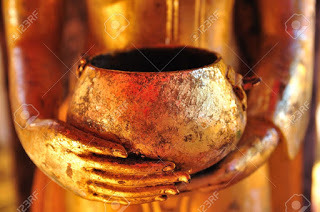 Buddhas are indeed teachers and “fingers pointing to the moon”, but they are also saviors, active in your daily life. They walk with you, think of you, see you, make plans how to make you understand important things, etc. Buddhas, Bodhisattvas and Masters are alive and active – this is a matter of extreme importance. Entering the Jodo Shinshu path is like becoming a member of Alcoholics Anonymous and recognizing: “Hello, my name is Josho and I am an alcoholic”. 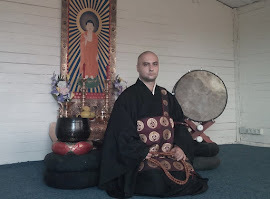 Jodo Shinshu doesn’t state something like: “My name is Josho and I can become a Buddha”, but “my name is Josho and I am full of blind passions, incapable to heal myself”. 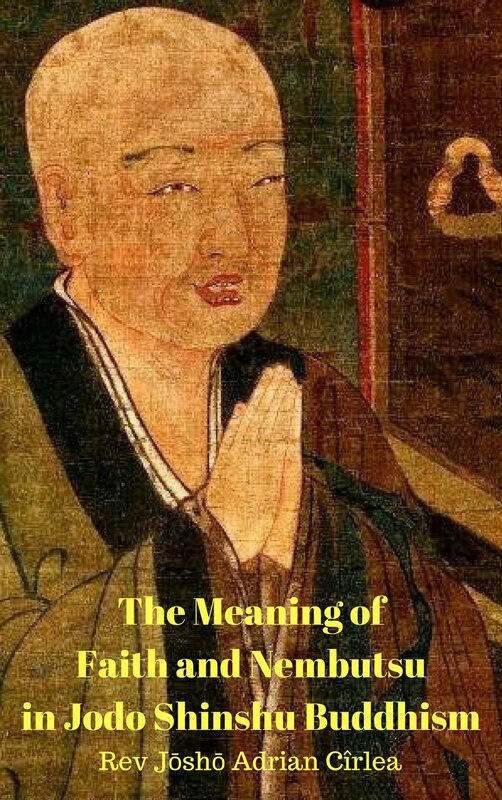 While in other Buddhist schools, an important matter is the recognition of the possibility of every being to become a Buddha in this life like Shakyamuni, the Jodo Shinshu path begins with the sense of failure. When you are 100% convinced that you cannot attain Buddhahood in this life, then you are ready for the Jodo Shinshu path. As long as you still harbor in your mind the smallest thought of personal merit or “maybe I can” kind of things, you cannot see and enter the Dharma gate of birth in Amida Buddha’s Pure Land. 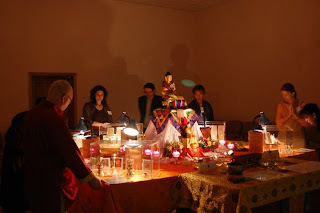 Thus, the Jodo Shinshu sangha is like an “idiot’s club” or alcoholics anonymous, in comparison with the nice and good Buddhists, who believe they are always calm and ready to become Enlightened and the same with Shakyamuni. 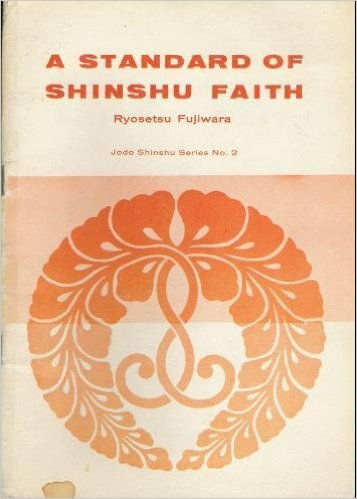 I repeat, Jodo Shinshu starts with the sense of failure…. I often have moments when I feel as if I am swimming in the mud. Everything seems to be contrary to my wishes and aspirations, every person I meet, like an obstacle, even a Buddhist friend. I often have the feeling of being sick and tired. I have never been a social person, not even in my childhood when I played most of the time alone. I've always hated big gatherings and crowded places. I have never liked human beings too much, and I've always found the company of animals more pleasant than the company of humans. I even feel that I can kill a human being in order to defend the life of an animal who I might consider my friend. I am not writing this letter to you for other reasons, than to share my unenlightened way of feeling things. I know that these are not the feelings of a “good Buddhist” or “what should a Buddhist feel”, but this is me at the present moment, this is my illusory personality. I know very well that I can’t fix it or transform it into an enlightened personality through my own powers. So, since I became aware of it, I do nothing else than take refuge in Amida and become more and more grateful to Him for accepting me as I am and finishing once and for all, the crazy journey in samsara of this stupid man. 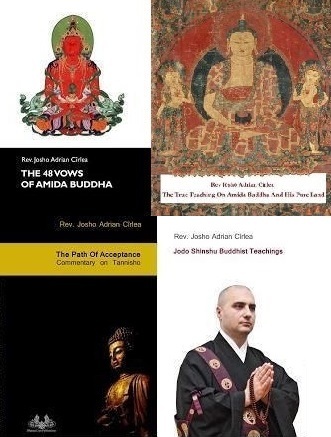 I take Buddhism and especially the Jodo Shinshu path very personally. For me it is not an object of study, but a way of escaping a great fire and a great sickness. It is like accepting the cure for cancer or AIDS. To me, Jodo Shinshu is a matter of life and death, it is the difference between burning in a big fire and escaping it. I feel as if I have stayed for all my life in a house of mentally retarded criminals in which the only reasonable thing to do is to go out, find somebody who can get me out. I am too tired and too sick to take care of myself or be able to liberate myself from this house of sick criminals and killers. I often ask myself what would I become if I was not grasped, never to be abandoned by Amida, but being left alone to the mercy of my karma and evil tendencies? To know what one might become in a future life, if he let himself in the power of his karma and tendencies is not a big deal. One should just observe his mind and see with sincerity his real thoughts and feelings, especially those thoughts and feelings one doesn’t have the courage to recognize to himself and others. Just take away the crust of “what a nice person I am” and look deeply into your own personality and mind. What do you really see there? “….it is not that you do not kill because your heart is good. In the same way, a person may not wish to harm anyone and yet end up killing a hundred or a thousand people”. How true these lines always appear to me! I feel as if here Shinran speaks to me directly, making light of the deepest and true feelings of a sick person that I am. “Josho”, he says, “the fact that you haven’t kill anybody until now, doesn’t mean that you are a good person. The misery is still there and you know it, you just need a favorable condition for this misery to go out, and you never know what you can do. So don’t be so sure and think you have a good heart. Please Josho, investigate yourself and look sincerely into yourself. You can always kill a thousand people.” Indeed, Shinran, my only good friend, the only good friend in the entire Buddhism that speaks directly to my level of understanding, I am capable of killing someone if the favorable conditions for killing arises. Indeed I am helpless. It doesn’t even matter if I don’t kill somebody in this life, because I might not meet with the favorable conditions for killing, but this hate, aversion and jealousy I find deep in myself, already killed everybody inside my mind. I am a hidden and unknown killer. The karma of thinking is already in action, no matter if I fulfilled it with my body or not. This hate, aversion and jealousy will accompany me in the next lives and sometime it will surely manifest itself.And where a mind stream like this, full of blind passions will go, if not into the lower realms? Please, you smart and “good Buddhist” fellow, stop talking to me with words like “there is no self”, or “nirvana is samsara”, or “your inner nature is that of a Buddha” and so on…. I really read about these things, but they are not useful to me. Just leave me alone with your bubble talk about purity and profound Buddhist quotes on peace of mind! I am tired about nice Buddhist talks. I am not a nice person, I am not a nice priest, I am not pure at heart, I can’t develop Bodhi mind through myself, I can’t follow precepts, I don’t drink but I am the same like alcoholics when it comes to my sick mind, I don’t eat meat, but I am the same like hunters and predators. I can’t meditate, I can’t understand ultimate reality and “Nirvana is Samsara” kind of things, I can’t send loving kindness to anybody, not even to myself. I have been a drug addicted for eons(1) and you, a nice Buddhist guy, are telling me that I can really heal myself in this life or that I can trust in myself and continue this process of healing in my future lives. Sorry, but I don’t believe you. You are speaking over and over again about the ideal, but you don’t take into account the capacities of the person to whom you are speaking. I also don’t care how virtuous you are and how nice your discourse about what should be done and what should be discarded is. But how can you speak about health and healthy states of mind to a terminally ill person on his death bed, that is about Nirvana and virtues to a person who lacks the seeds for Buddhahood, to someone who is guilty of the five gravest offenses and can die in every moment? Just please go out to your everyday meditation sessions or visualizations, and your peace of mind, to your “everything is possible” attitude, to your prajna, and please leave me alone with my friend, Shinran, because he is the only one who can really understand me. 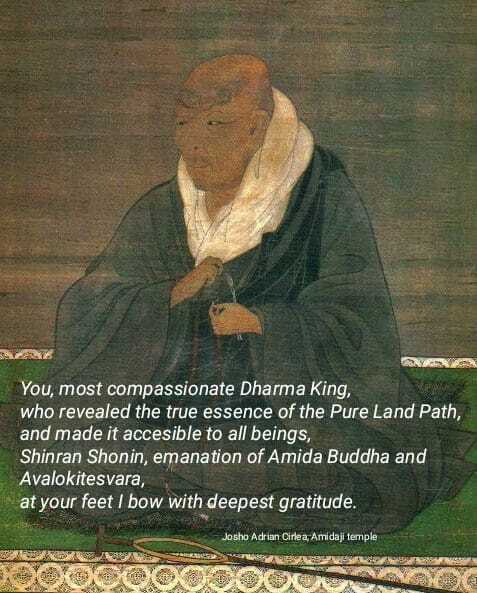 I am tired to listen to your discourses about ultimate nature, I just want to hear Shinran Shonin speaking to me about my Mother – Amida Buddha, who accepts me exactly as I am, telling me that for being born in his Pure Land I need nothing, really nothing. Just to entrust to Her and everything is ok. My Compassionate Mother will take care of my attainment of Buddhahood, like every mother takes care of her own child. You don’t believe me? You think that my Buddhist path is for inferior beings? I don’t care and yes indeed, I am an inferior being. So, it logically follows that your supermen kind of Buddhism is not for me. To be a monk who receives donations or people’s appreciation, but to fail to attain Buddhahood, means to lie and cheat sentient beings. This is because ordinary and unenlightened people give you donations or offerings while thinking that you are greater than them, more virtuous, more close to Enlightenment or even that you already reached Enlightenment. By giving you food, they hope that they receive a better karma, or a fortunate rebirth, etc. And indeed, to give praise to those who are worthy of praise or give food to those who really deserve it and are the lights of the world, it can bring many benefits to those who give. 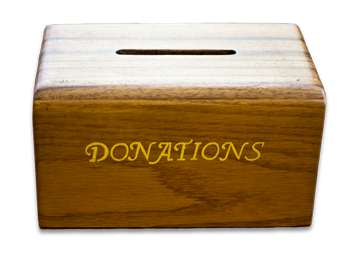 But what if you are not a worthy vessel, that is one who accepts various offerings or people’s praise, but is not at the level the donors imagine that you are, when they give something to you? Then, if you fail them, and do not reach Buddhahood, you will have to give back mountains of rice for every little grain of rice they gave you. Because you do not reached your goal (Buddhahood), their aspirations are also not fulfilled, so you have to pay these grave karmic debts. You enjoyed their food and money, obtained with great efforts and pains, and especially you enjoyed their devotion and praise. But you are a fake and a liar…. The same happens with a Jodo Shinshu priest. I am not a monk, because I don’t take the 300 and something precepts of a monk, I can marry and have children, but in the same time, I am not a lay, because I have to have a higher aspiration than a normal lay follower or a person who lives only for food and drink. As a priest I have to take the words “receive shinjin for yourself and help others receive shinjin” more absolutely than a lay, especially the last part, which shows that I have to dedicate my entire life to helping people receive shinjin. Not only to help them, but to be ready to die in doing this. Of course, nobody can help others receive shinjin, if he himself doesn’t have shinjin. And if I as a priest don’t have shinjin, not only that I can’t help others receive it, but I can’t even attain Buddhahood in the Pure Land! In the same way a monk who lives in monastery receives people’s appreciation and donations but doesn’t attain Buddhahood, a Jodo Shinshu priest who is praised and respected by others, receives donations but doesn’t have shinjin and is not even born in the Border Land of the Pure Land, he will have to pay his debts in his future lives in samsara. To wear the robes and kesa of nembutsu faith, but not to receive shinjin and not be born in the Pure Land, while in the same time, misleading others and not helping them receive true shinjin, must be the greatest fear of a Jodo Shinshu priest. Maybe it would be better for him or her to remain outside the Pure Land path, than to go against the Dharma, misinterpret the Dharma and being an obstacle for others birth in the Pure Land. This matter is of extreme importance. One cannot play with people’s attainment of Buddhahood, which only true shinjin is its cause. If you play with people’s attainment of Buddhahood, you yourself will not attain it, and more than this, you may lose yourself for many eons in the lower realms of samsara, in places and states of existence where there is no Dharma. We, the Jodo Shinshu priests, must look to our ordination as to a great fire which can either heal and warm the hearts of beings, help them attain Buddhahood, or burn them all and ourselves together. We, as priests, have very few options: we go in the Pure Land, in the Border Land or in the lower realms. We should be very careful and always ask ourselves if we truly received the same shinjin as Shinran so that we can help others receive it. To be over cautious at what we teach and to teach only in accordance with the words of the Founding Master, must be our normal state of mind. If you don't come to the point when to think that the teaching is addressing personally to you, then everything is in vain. Treat the Dharma as if Shakyamuni, Amida, Shinran, Rennyo and all the patriarchs speak directly to you. Think they are before you, addressing personally. This is not a symbol, but the real truth. Perceive the teaching as being an exclusive, intimate, friendly and maternal relationship between you and Amida Buddha. He doesn’t treat sentient beings as numbers, but addresses to each one individually, so his relation with you is like between mother and child or between best friends. Think that Amida Buddha addresses to your own personal suffering, to all the forms that suffering manifests in your life and that he wishes to heal you once and for all. Hey, awake yourself to the true reality of your life! Your body is becoming older and older day by day, no matter you are now twenty, thirty or fourty years old. Some of you are already fifty or sixty. Look at yourself in a mirror! Look at yourself in your old pictures and you will notice the differences. How your body has changed. Your body is becoming uglier and uglier day by day, and will soon resemble more like a corpse than a living body. Look how your hair becomes white, ..... the signs of death are there, in your own body. this cannot be compared with anything else. One Sunday, after everybody left the dojo, I found myself in the middle of the room: "Now, what else should I do?" This question hit me with great power. I felt that all the day was over when the last person left the dojo. Like everything truly important in that day, was done. I stayed for some time in the middle of the room, dressed in my robes, and overcome by this strong impression. Its very hard to describe the feeling…. I often meet with Buddhist quotes about the three lower realms, saying that these are full of great suffering, while the human realm is far better and desirable. Of course, I don’t deny this, but in the same time I cannot abstain to feel disgusted, because of my own personal life and experience, even of this so called desirable human birth, so hard to attain. For me, human life and human world is a combination of all the three lower realms, in a smaller quantity of course, but still painful enough to be compared with them. Therefore, one can find here demon like humans, preta (hungry ghost) like humans and animal like humans. Sometimes, only the outside form appears to be human, while their thoughts and actions are that of beings belonging to the lower realms. Also my suffering, which comes from my attachments and illusions, sometimes coincides with that of hell beings, pretas or animals. I feel the fire of hate or jealousy burning myself, the hunger for having just a little warm and love from the people I am attached to, and the feeling of being abandoned and not useful, like an animal good for nothing. I feel the horror and fear of homeless animals left alone and endangered by rivals or predators. And I myself am like a predator when defending my so called possessions and my attachments. It is also said in the sutras that human birth is more suitable for Dharma practice, but I don’t think these words were said for me. Even in this human form I am incapable of following Buddhist practices based on personal power and reach Nirvana. How can I possibly attain Nirvana when I am so often in danger of losing my mind because of hate, jealousy and aversion towards those who hurt me or abandoned me? How can I attain Nirvana by my own power, when my wellbeing depends so much of the presence of other sick persons – themselves a combination of demon-preta-animal being – with whom I am attached? Looking to my own personal life, I often think it is indeed a miracle that I am still alive or not in jail. It is a miracle I didn’t kill anybody or didn’t suicide myself. I don’t know how others are, or what kind of illusions and attachments they have, but I know that my attachments and illusions are so great and profound, that I am definitely without hope. It is for this reason that I cling so much to the Compassion of Amida, and why I don’t understand and don’t want to hear anything else in which the word “I” or “personal power” has some little significance or importance. Do you, the reader of this blog, find some similarities with me in your own personal life, not the social life, not in the face you show to the world, but in your inner and not seen life? If you do, I wish that you will find relief knowing that people like you and me are also received and never abandoned by Amida. If you don’t, and think you are not so bad like me, then its ok, but at least you can understand why I follow this nembutsu path. You may call it, if you like, Buddhism for desperate people, for hopeless people. I think it is the only path a loser like me can follow… because it doesn’t depend on me.